Catching criminals are no easy matter, but the policeman's best friend is not only a partner but also the "iron steed." That is why in many countries law enforcement officers provided with expensive cars. Bugatti, Porsche, and Mercedes - today we have collected ten luxury police cars in which you want to ride even in handcuffs! 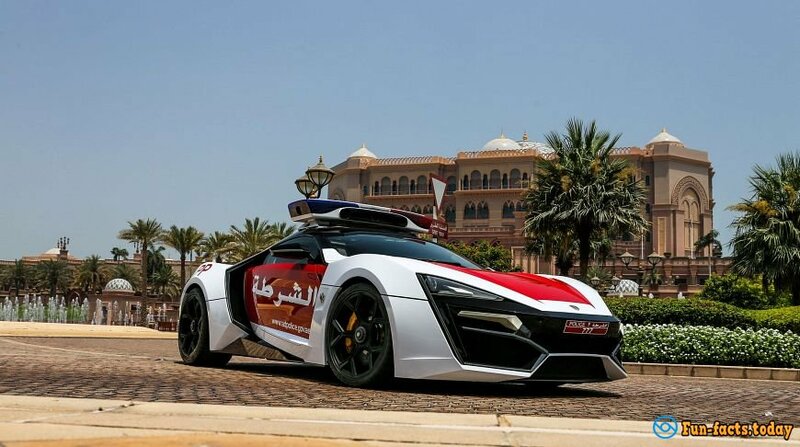 Last summer, the fleet of the United Arab Emirates police added the first supercar of national production. Lykan Hypersport can boast the capacity of 700 horsepower and a diamond in the headlights. There are only 7 vehicles in the world, so the guards of an order in Abu Dhabi are very lucky. 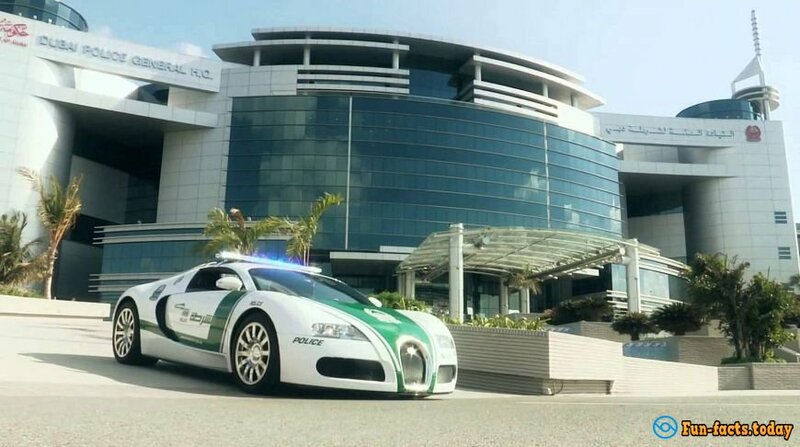 Emirates police can boast with other elite cars. For example, Bugatti Veyron, which appeared in the car park of the Dubai Police in 2014. This car few year was regarded as the fastest in the world. 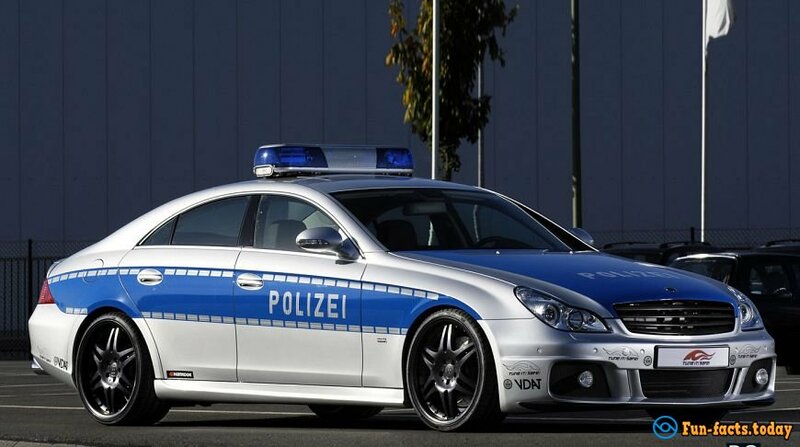 Police in Germany provided with domestic cars. One of the most representatives in the German fleet - Brabus Rocket, designed by Mercedes-Benz CLS-Class. In 2006, this machine was recognized as the world's fastest sedan. In just 29.5 seconds, it can accelerate to a speed of 300 kilometers per hour. 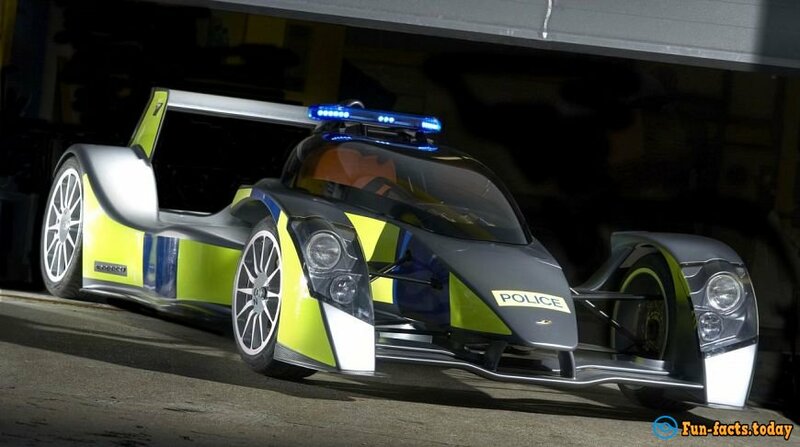 At the disposal of the English police have double open-wheel supercar created by British manufacturer Caparo Vehicle Technologies cars. The maximum speed of the car is 322 kilometers per hour, and up to 160 kilometers, it can be dispersed in just 5 seconds. This acquisition is hardly a very practical vehicle for the British police, because, in spite of its speed, supercar can go only on flat roads. A couple of years ago the Australian fleet replenished with luxury car Porsche Panamera. Law enforcement officers do not use it to patrol the roads, but they present it at the demonstrations and celebrations. A similar supercar can be found in Qatar: there it appeared even a few years before in Australia. 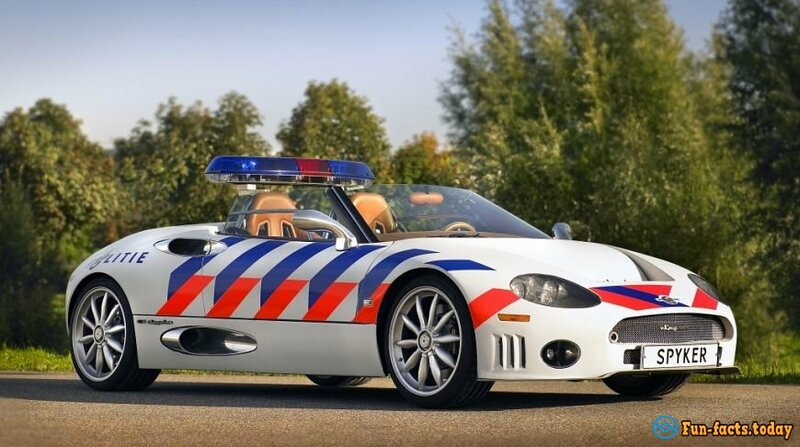 Dutch police also prefer to support national producers: their fleet has a luxury sports car Spyker C8. The car can accelerate to 300 kilometers per hour and 4.5 seconds up to speed 100 km per hour. The car, which appeared in "Fast and Furious" film, is at the disposal of the American police. The car can accelerate to 100 kilometers per hour in just a couple of seconds. 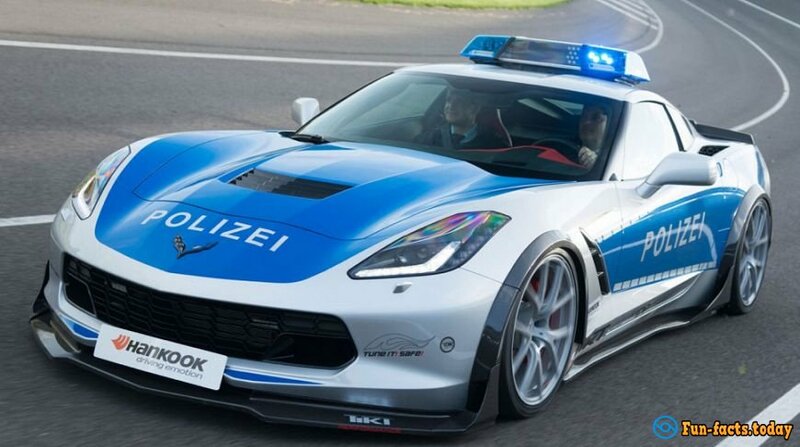 Last year, the German police had at their disposal a brand-new Chevrolet Corvette. The car can be dispersed for 4 seconds up to a hundred kilometers per hour, and its maximum speed - 290 kilometers per hour. 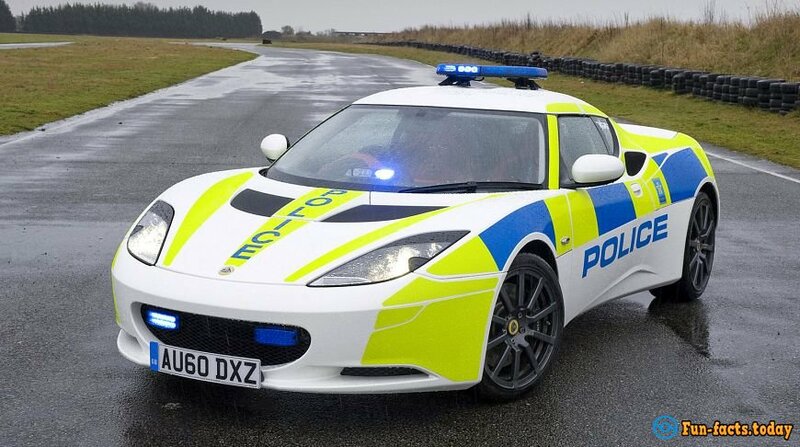 The British automaker Lotus a couple of years ago gave the police from Norfolk, Sussex, Essex, Bedfordshire, Hertfordshire and Cambridgeshire brand new supercar Lotus Evora S for patrolling British roads. 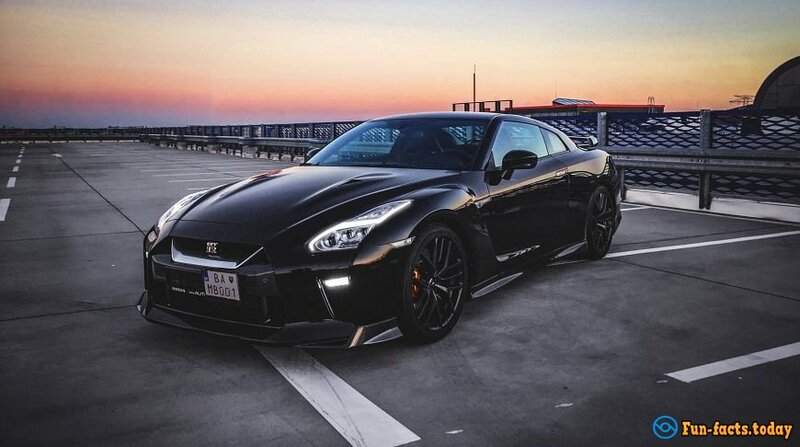 The machine is equipped with a 280-horsepower engine and is capable of accelerating to a hundred kilometers per hour in five seconds. This car also has a public service in Rome and Milan. 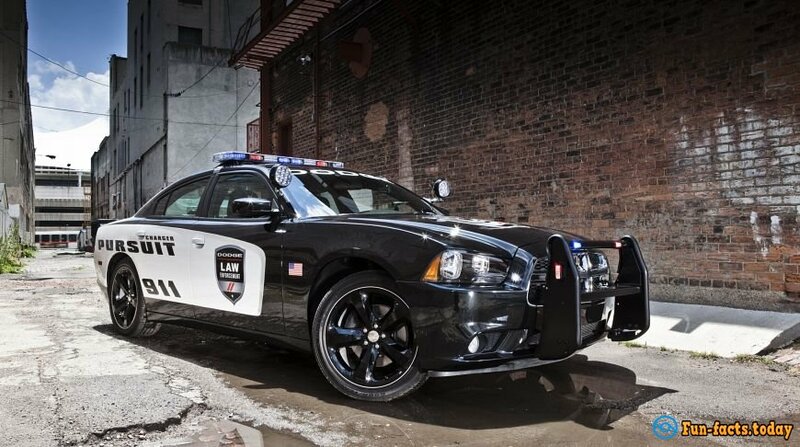 American cops patrolling the streets on Dodge Charger cars, the Dodge produced by an American company, for a long time. And since last year, the police actively transplanted to the car of a special equipment Pursuit. So, for example, only in the summer California Police Department ordered 600 such vehicles.